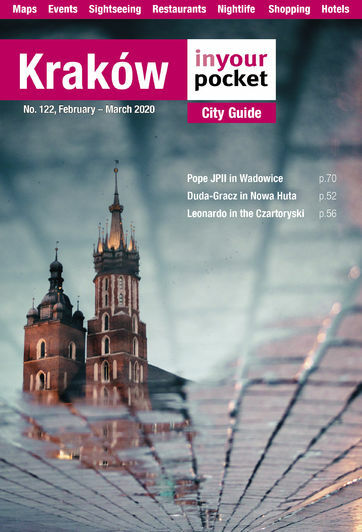 English language information, brochures and maps of the Jura Upland are available in most Kraków tourist information offices, though you may have to ask specifically for it. The best way to explore the Jura is by car, and savvy map-wielding motorists should have little trouble finding the sites we’ve listed here. If you’re bound by bus, the accessibility of some sights may be limited. Major towns and attractions can be reached from Kraków’s main bus station (ul. Bosacka 18); however the frequency of trips will be limited; check the journey planning website e-podroznik.pl to figure out how to get to the destination of your choice. For pilgrims and hikers eager to hit the trail on foot, we nonetheless recommend starting from Ojców. Though Wawel is officially considered the start of Szlak Orlich Gniazd, the trail isn't clearly marked from there and you’ll need to get yourself to the outskirts of town anyway. Unibus mini-buses to Ojców leave from the lot on ul. Pawia at 08:00, 10:40, 13:35, 15:25, 17:15 and 19:05, Sat 08:00, 10:40, 13:45, 19:05, Sun 10:40, 13:45, 19:05.